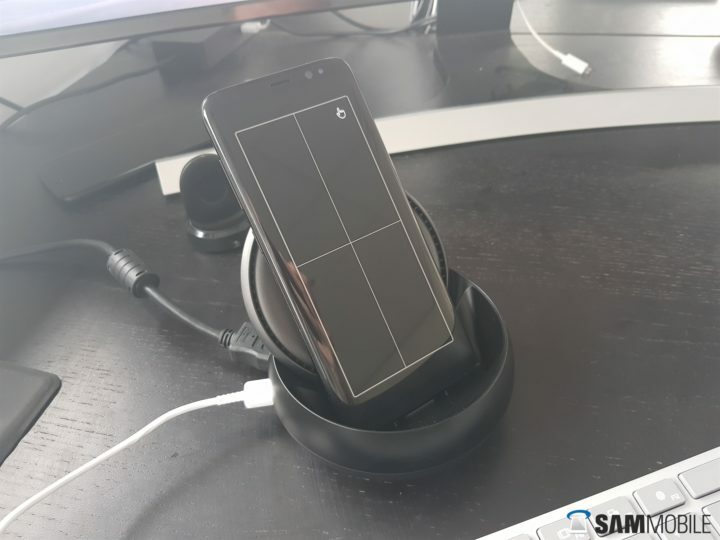 Samsung is working on a new version of the DeX Station to be launched with the Galaxy S9 next year, and like the company’s original wireless charger, the second-generation DeX dock will be a pad rather than a stand. That’s according to the folks over at GalaxyClub, who say the dock will be called DeX Pad, launch alongside the Galaxy S9 and Galaxy S9+, and come in black. Their information reiterates a recent report by popular leakster evleaks (a report that also suggested the S9 and S9+ will make a cameo at CES in January). With Android Oreo, the display of the connected phone can be used as a mouse, and the reports about the DeX Pad suggest it will also get the option of being used as a keyboard. That would negate the need for you to carry around a mouse and a keyboard to properly use DeX as is the case right now. We do wonder how one will go about connecting the phone to the dock if it’s lying flat, though. There will probably be a hinge for the USB (Type-C) port that hides away when unused (like the one on the Gear VR), and it will all hopefully be a convenient process. Could it also be that the DeX Pad will work both as a stand and a pad like Samsung’s convertible wireless charger? Since the phone needs to be connected physically via a USB port, we’re guessing a convertible DeX dock will involve a not-so-intuitive mechanism, but it’s not out of the realm of possibility. That’s just speculation, however, and there’s no telling what the DeX Pad will look like at this point. Here’s hoping Samsung’s has at least managed to fit in a 3.5 mm audio port, the lack of which is a notable point of contention on the first-gen DeX Station.